It is a season of waning and little is certain. Akhet, the Inundation. The world is changing, gods of old stir, and their agents work behind the scenes to fulfill their masters' commands. Who will have the courage to stand for The Light when darkness rises to swallow the world? Doctor Nicole Salem is a beautiful and brilliant Egyptologist who is working on a dig outside Luxor, Egypt, when she is confronted by her own destiny. She is plunged into a world of divided loyalties, intrigue, and treachery that will destroy her and everything she knows if she isn't strong enough. Nicole must learn how to survive in a war between elder powers that claim her life and soul as their own, and earn the title of Sekhmet's Light. 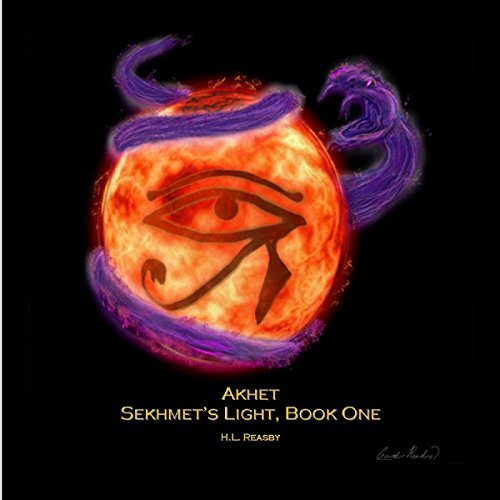 If you could sum up Akhet in three words, what would they be? I loved the author's interweaving of ancient Egyptian mythology with the modern day and creating a wonderful adventure story with a strong female protagonist. Which character – as performed by Élan O'Connor – was your favorite? Having read the book and then listening to audio production, I hope that the author and her narrator will come together again and produce the rest of the series.